Confluent Cloud is a fully managed Apache Kafka as a Service in the public cloud. Using Confluent Cloud allows developers to focus on building applications, microservices and data pipelines, rather than on managing the underlying infrastructure. But, just because we run Kafka for you, doesn’t mean your job is done! 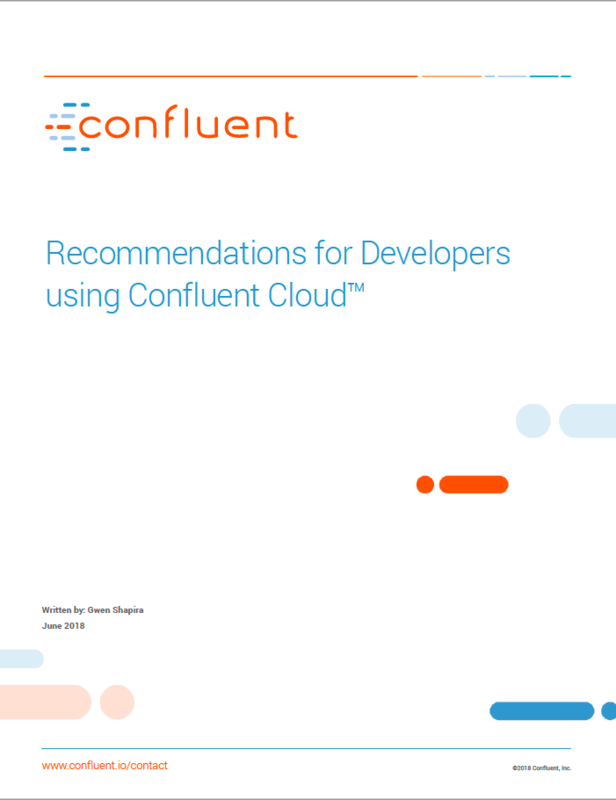 In this white paper, we offer recommendations and best practices for designing data architectures that will work well with Confluent Cloud. In addition to discussing integration with Confluent Cloud itself, we tackle the challenges and benefits of running software in Cloud environments and offer guidance that will help you plan your way to a reliable, performant and cost-effective deployment.